Archer on Airguns: Airgun Hobbyist April 2014 Issue Available This Week. Airgun Hobbyist April 2014 Issue Available This Week. The latest issue of Airgun Hobbyist magazine will be shipping out to subscribers this week. 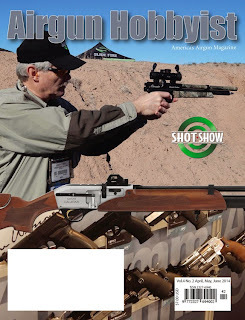 Subscriptions or single issues of Airgun Hobbyist Magazine are available from Archer Airguns.